Jubilee Hall Trust will be running its sixth and last FREE outdoor Zumba dance session on Wednesday 11th September starting at 8am. It will be the final opportunity to take part in this Latin-inspired, easy-to-follow, calorie-burning dance fitness party! The workout will take place in Covent Garden’s famous Piazza, in front of St Paul’s Church and everyone is welcome to join in with our internationally-acclaimed Zumba instructors, Sandra, Pamela and Lara. 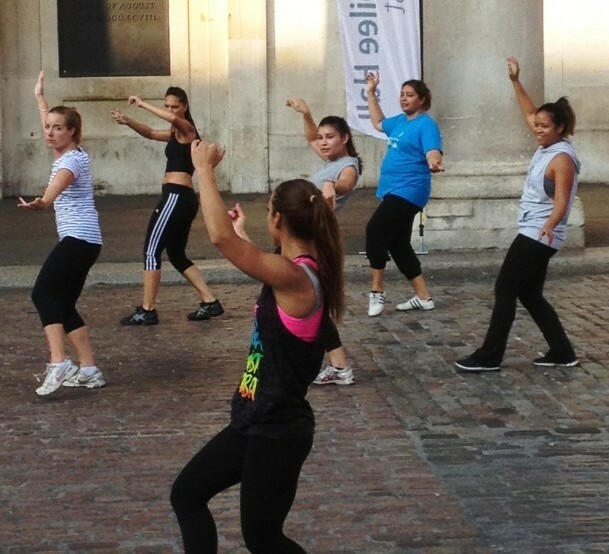 This activity is part of Covent Garden London’s summer programme, and is delivered in partnership with Zumba.